Could you feel my eyes over you? 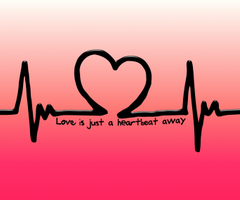 Could you feel my heartbeat? How am I able to see you? How am I able to feel you around?